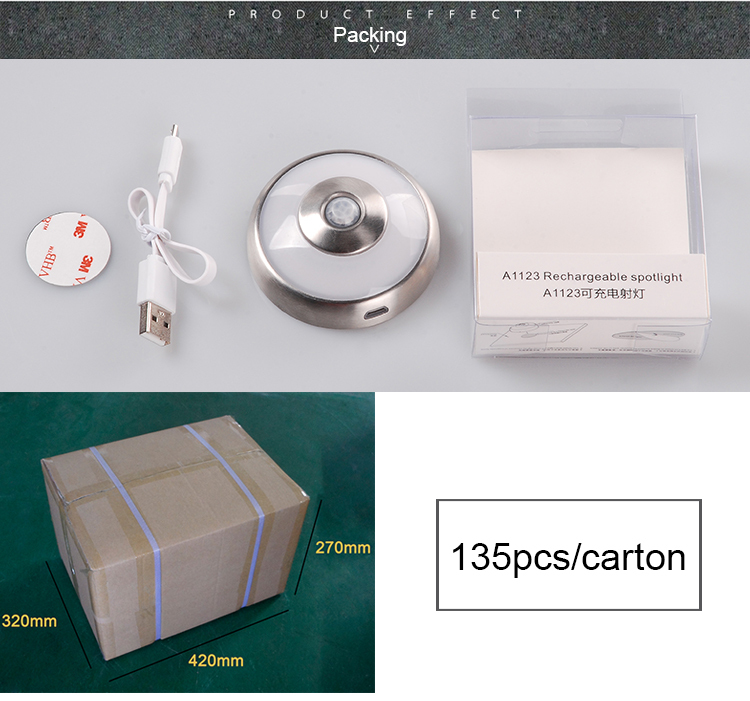 This wireless led puck light is an new product that design and create by Artcilux. 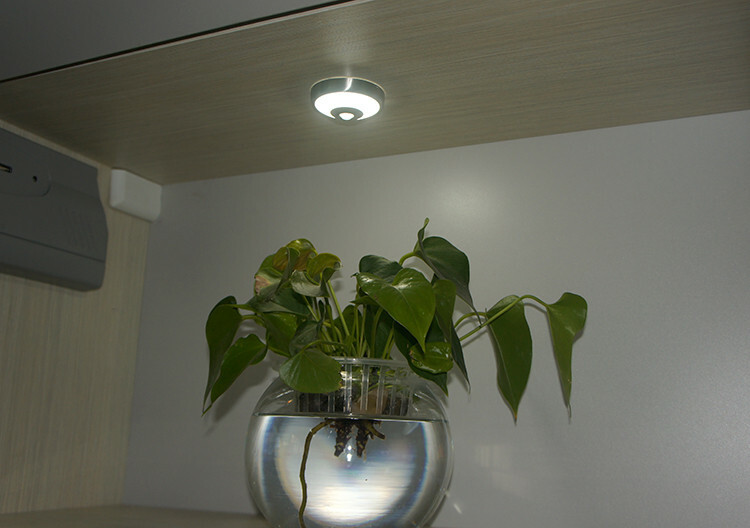 It's a wonderful lighting option for the underside of cabinets, shelves and more. 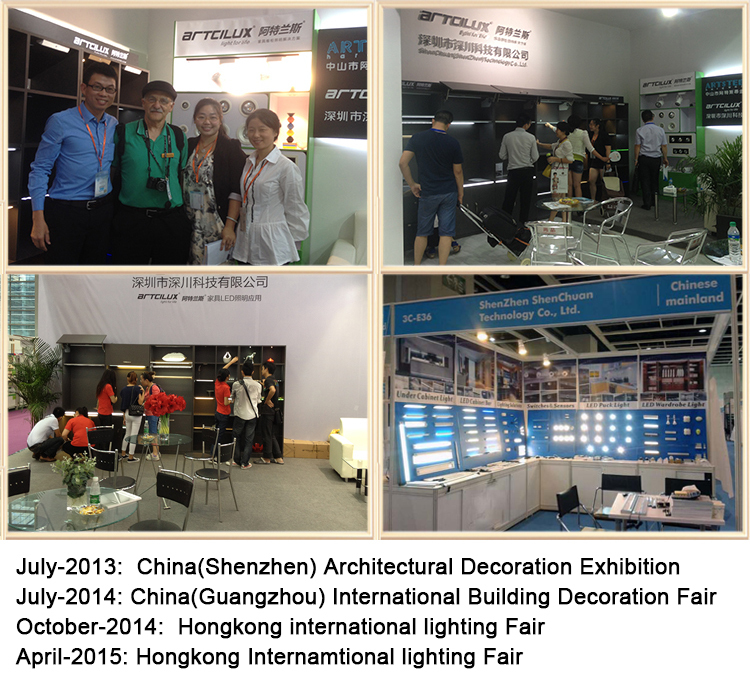 Round pucks emanate soft, diffused light and take up minimal space for installation. 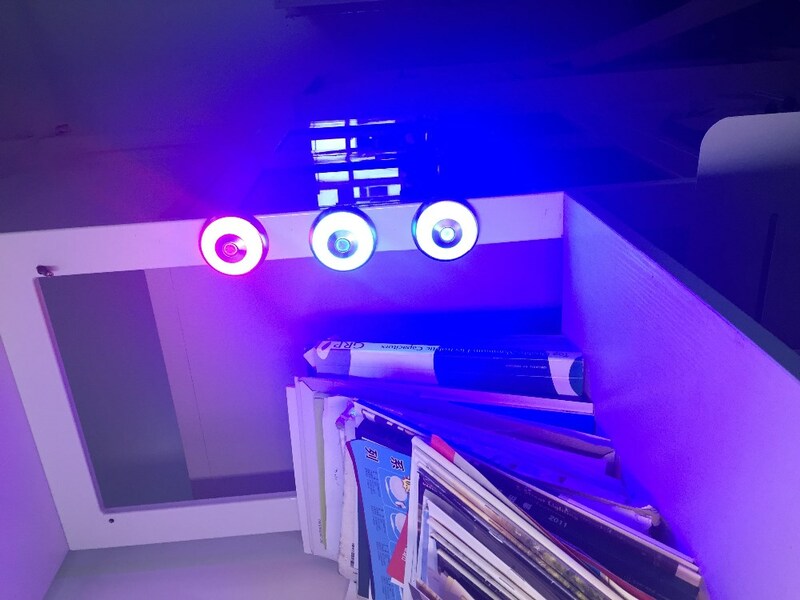 Light is 0.5 watt with 24 beads high power LED.The light has an inner pir motion sensor, and it's rechargeable and battery powered. 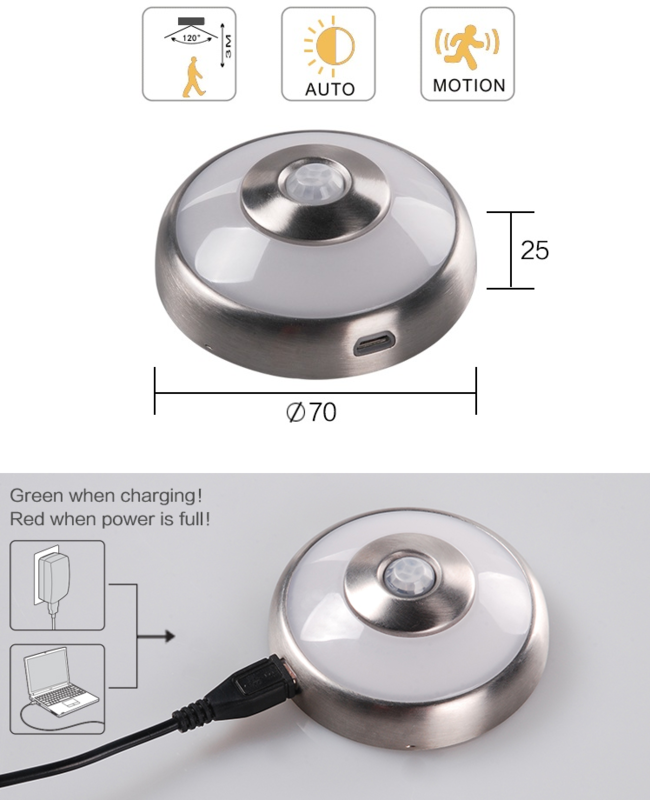 This wireless led puck light can be used in many places: showcases, wine shelves, display shelves and so on. 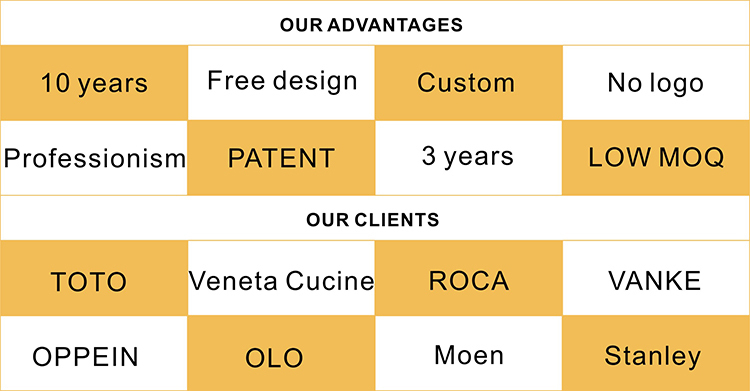 This is customized by our other customers . 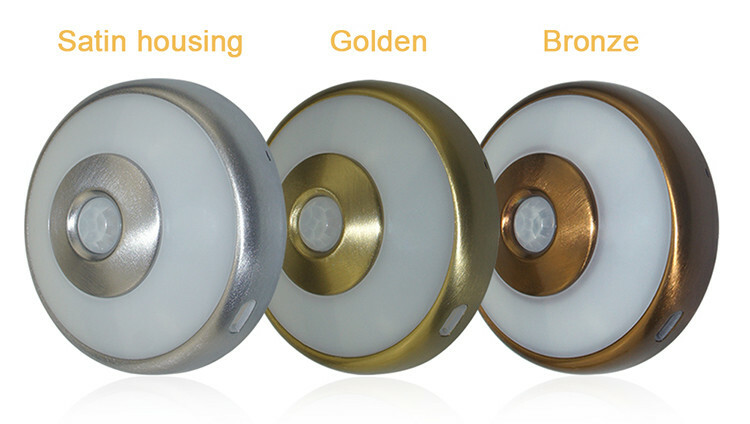 It has three colors for your choice: silver, golden and bronze. 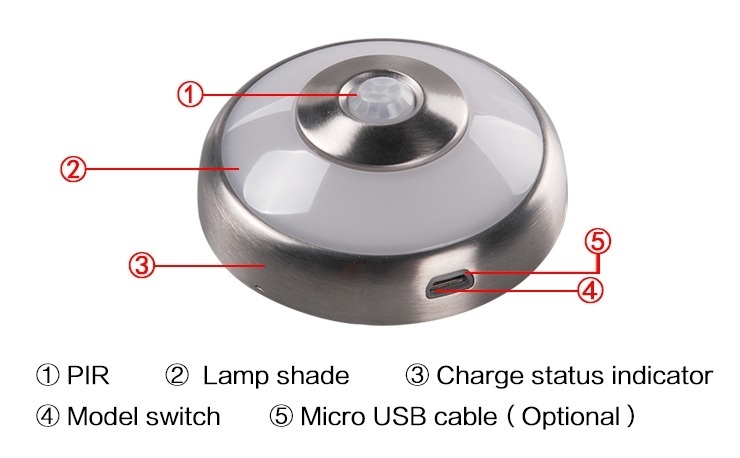 The detail show of indoor motion sensor ceiling light is as follows: it's stainless steel finish, milky lens makes the light more soft, Micro-USB recharge connector, the pir motion sensor is in the center of the light body,and it's very easy to install. Q1 : How do i know this light is fully charged ? 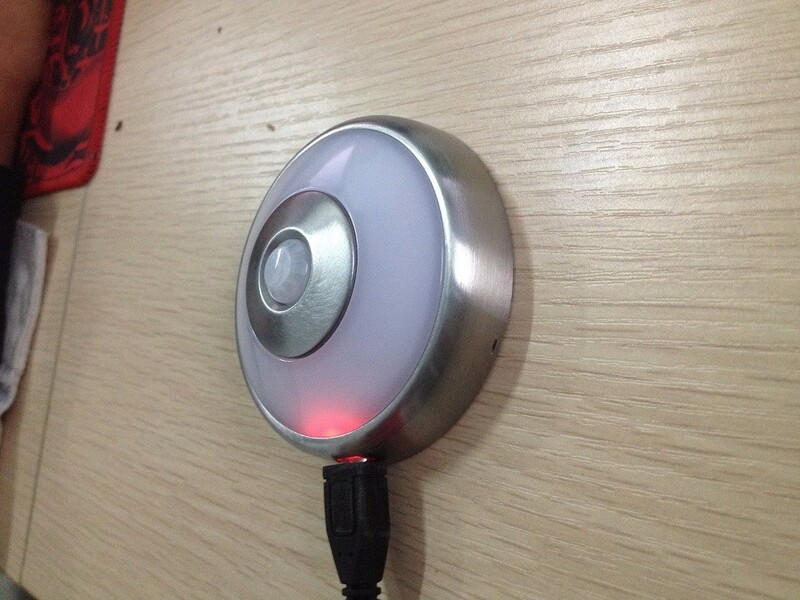 When the light is full charged ,the indicate SMD will be green ,when charging ,the indicate SMD will be red. Q2 : Is the price included charging cable ? No,it is not ,If you need charing cable ,you need to purchase additional. 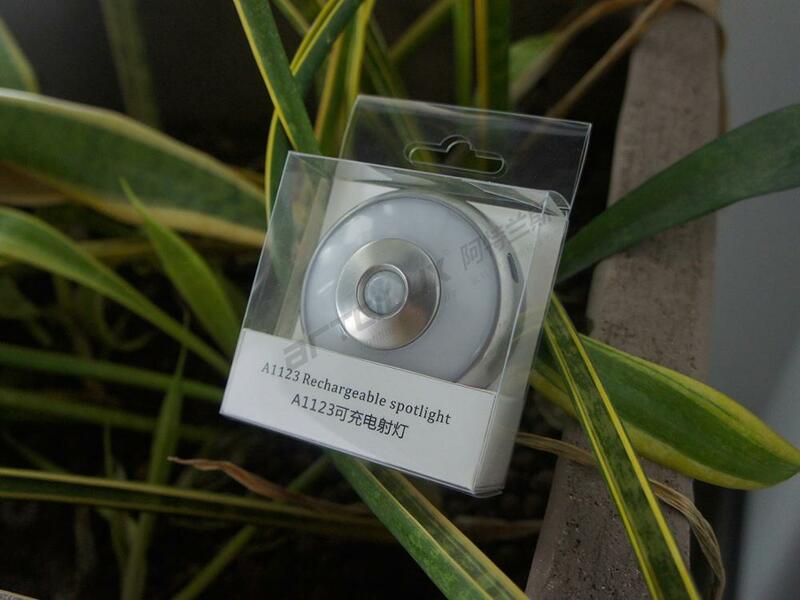 Q4: How long is the charging time ? 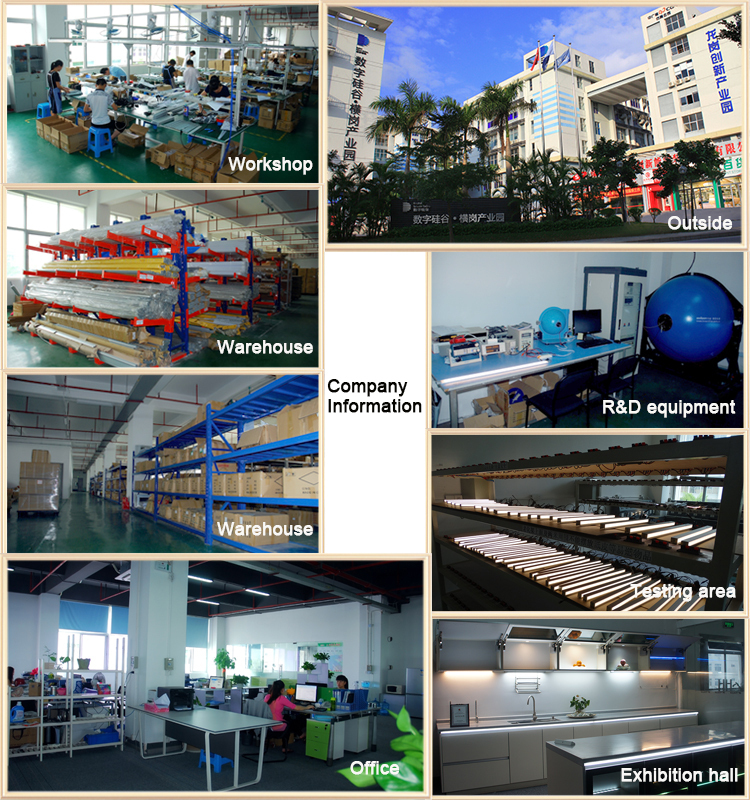 It need take 3-3.5 hours.Once charged it can sustainable lighting 5 hours. 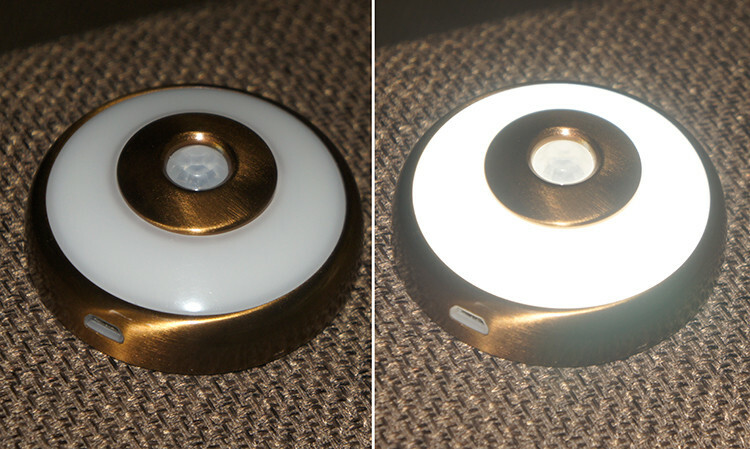 Q5: How long it can last when in PIR motion sensor mode ? It can last 2-3 months .